Just wanted to say "Happy Thanksgiving" to each of you and tell you how much I appreciate you following my blog. Be blessed! 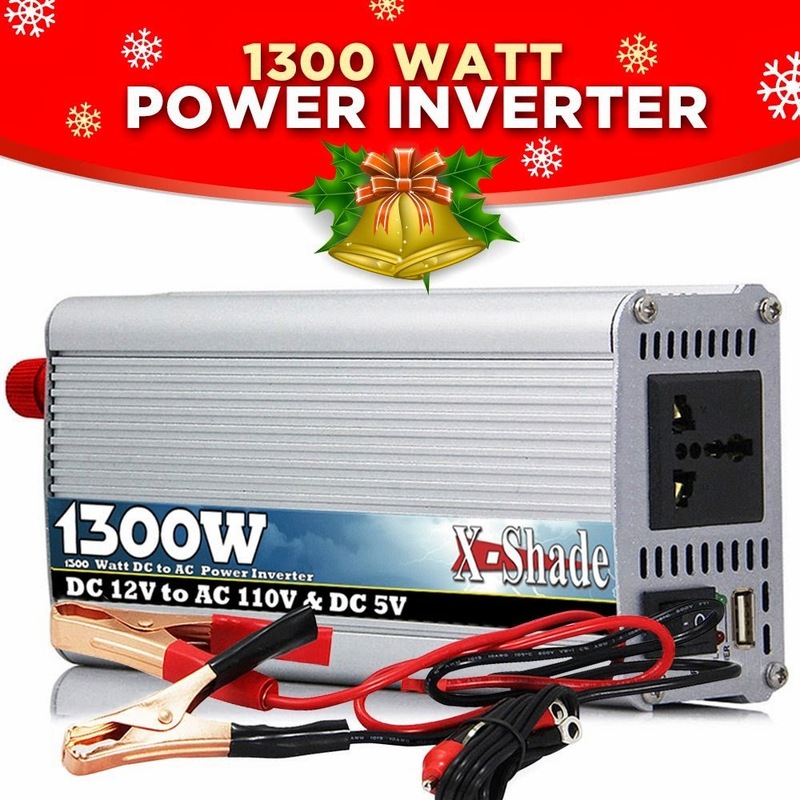 This 1300 watt power inverter is a good addition to our homestead. We use it to charge batteries for flashlights. This inverter also has a USB port to charge phones. It's big enough to handle a small refrigerator. In case you are not sure what an inverter is, a power inverter changes DC to AC power. DC power is the power that runs like a car battery and AC power is what is in your home. Hooked up to a solar panel, the panel charges up your power bank and the inverter lets you use that power. I am pleased to have a guest poster today. Please welcome Mary! Heirloom seeds are also Open-Pollinated. 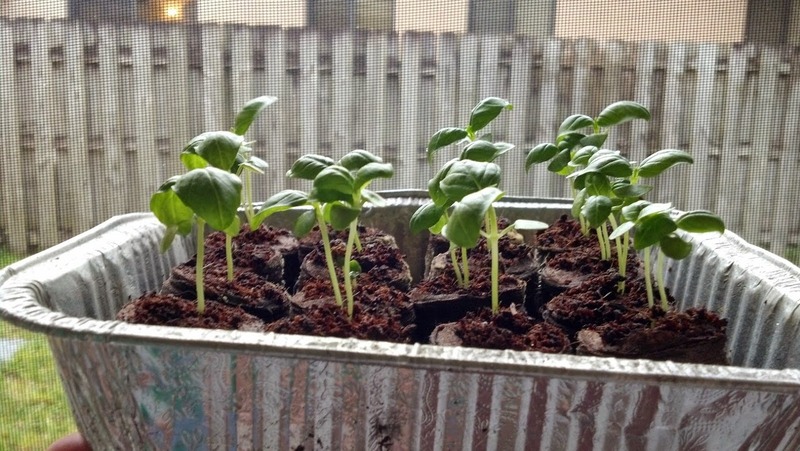 One of the many benefits of planting Heirloom Seeds is seed saving! Heirloom seeds have also been called "heritage seeds." Seed saving is how farmers and horiculturist have preserved the integrity of these seed varieties for hundred of years. Time really flies by fast and Christmas is just 7 weeks away from today. So, for the next 7 weeks, each Thursday, up until Christmas time, I am going to be posting the Top Gifts for 2014. This week we will be highlighting the Top Toddler Girl Gifts of 2014. The biggest movie for kids last year by far, was "Frozen" and kids are still in love with the movie and anything related to it. Here are the top recommended "Frozen" gifts for every budget. 1. 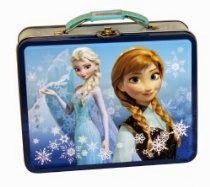 "Frozen" lunch box/carry all. $6.72. 2. 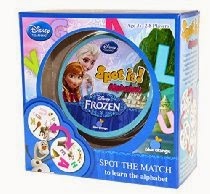 "Spot it--Frozen Alphabet". $11.85. Elsa & Anna help to teach kids how to match letters. Great educational toy that teaches kids about the alphabet in a fun way. 3. Disney "Olaf" pillow. $15.19. Who wouldn't want to snuggle with Olaf? 4. Disney Frozen Dress Up Trunk. $24.99. This trunk comes with 20 pieces including 2 dresses, 2 headbands, 2 necklaces, rings, & bracelets. 36 months-6 years. 5. 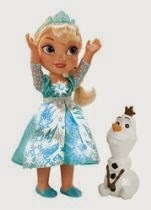 My First Disney Princess Frozen Snow Glow Elsa Singing Doll. $49.95. Just touch Elsa's snowflake necklace to hear Elsa talk and watch the magic as her dress lights up and twinkles. Raise her arm and she sings "Let it Go". Dress lights up, she sings the hit song "Let it Go" and says 15 different phrases. 6. Woofer Guitar. $20.99. 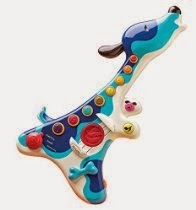 Comes with 3 play modes: acoustic, electric, or puppy mode. 8 musical buttons and plays 20 sing-a-long favorites. 7. Pink Bilibo. $26.95. This toy is amazing and pretty much every child loves them. It is a rocking chair, a spinning top, a cradle, and a tunnel all in one toy. Award winning. 8. Hansel & Gretel Toy House and Book. 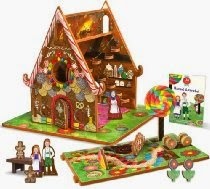 $30.00 Let your young child "unplug" and play as you read the book "Hansel & Gretel" to them. It comes with the storybook, toy house, 5 dolls, furniture, and carrying case. You put it together like you would a 3D puzzle. Hours of fun. 9. FurReal Friends Baby Panda. $37.49. An exciting, fun, and engaging toy. Pet her, talk to her, shake her rattle, or give her the bottle. She will respond by walking, crawling, talking and by making feeding sounds. 10. Big Hugs Elmo. $49.99. Everyone's favorite Sesame Street character is back again this year but this year he is "Big Hugs Elmo". 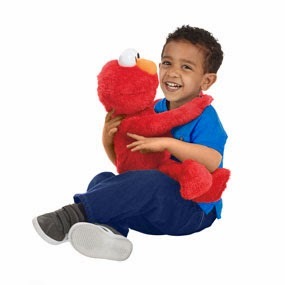 Elmo likes getting hugs but this year, he can also give you a hug back! Press Elmo's left foot and Elmo invites your child to engage in one of four different activities. 50 plus animated sounds and phrases and 3 songs. Next Thursday, I will share the Top 10 Toddler Boy Toys of 2014. Be sure to stop back by then! Many of the links you see above lead to my "Amazon" store Countrified Hicks. Ordering items from my store does not cost you a penny extra but I do receive a very small percentage as a bonus from Amazon for being an affiliate. We appreciate your support. It helps out our family more than you may know. I love to dehydrate; in fact, I prefer dehydrating over canning. I used to can about everything but it took a lot of time, effort and energy and the jars take up a lot of space. I have learned that dehydrating preserves the food just as well and takes up a lot less space. For instance, to can 10 pounds of potatoes would take up a bunch of quart jars (you can only get 2-3 potatoes per jar). But I can dehydrate 10 pounds of potatoes and they fit into 3 jars is all. 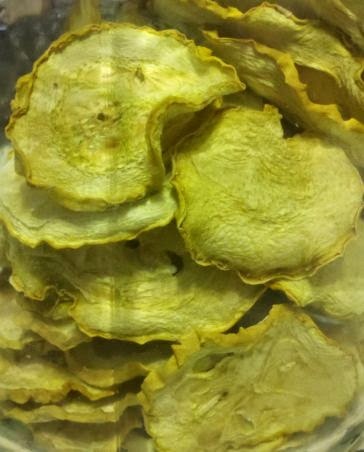 To dehydrate yellow squash, just wash the squash and cut off the ends. 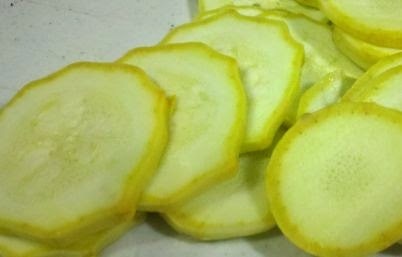 Once the ends are cut off, use a mandolin (on the thickest setting) and slice the squash into rounds. 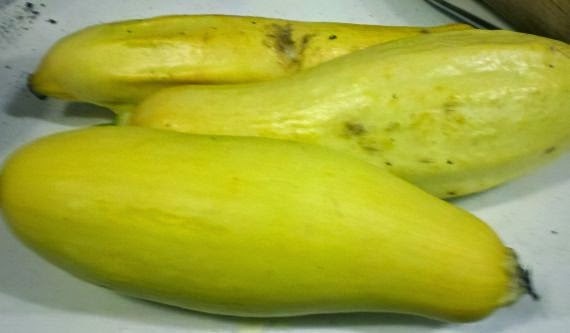 You do not need to boil the squash. It will retain its color just fine. Also, some blogs recommend that you put some oil on the squash but this makes the squash taste awful and turn rancid. 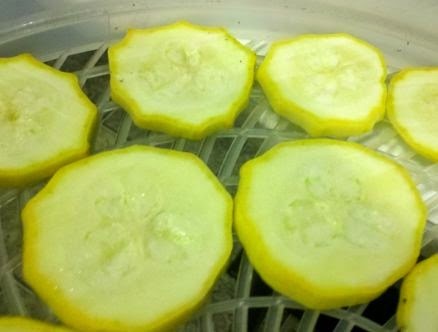 Once it is sliced, just place the pieces on your dehydrator trays. Turn on the dehydrator and let the squash dehydrate about 10 hours. I just turn my dehydrator on right before I go to bed and the squash are ready the next morning. Once dehydrated just store the squash chips in a mason jar. 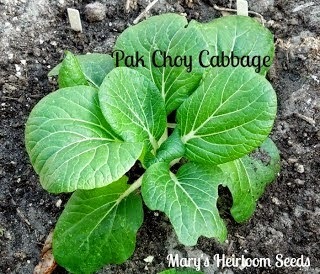 To use, you can eat these as a snack as they are or use them in stews, soups, casseroles, etc. To reconstitute, just place in very hot water for about 10 minutes or add to your favorite recipe and cook the dish as you normally would. Or fry it up and have fried squash. Just soak in hot water for a few minutes and fry as you would fresh squash.